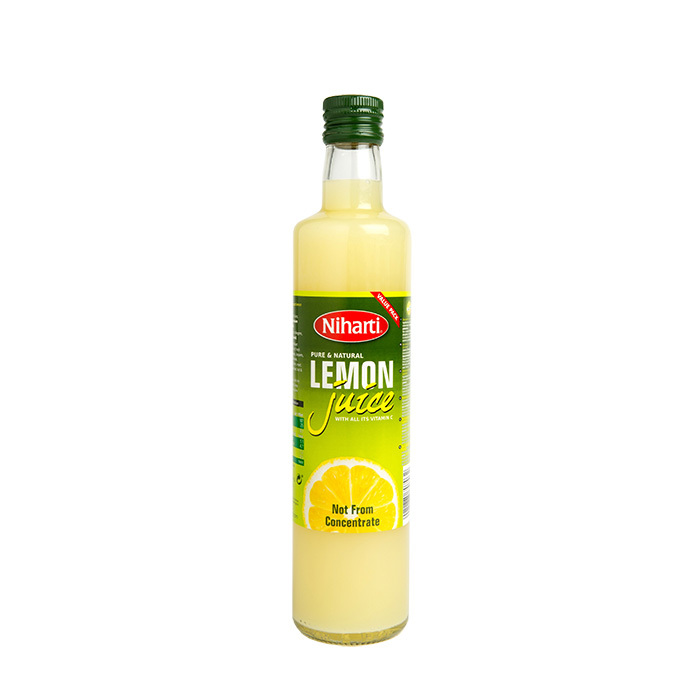 Niharti Pure Lemon Juice is 100% Pure Lemon Juice squeezed from fresh lemons with all its’ naturalVitamin C ideal for pancakes, desserts, salad dressing, marinade, sauces, curries, chicken, meatoriental dishes, sea food, hot & cold beverages. Directions for use: Ideal for food & drinks. Storage: Store in a cool, dry place. Once opened, keep refrigerated & consume within 4 weeks.